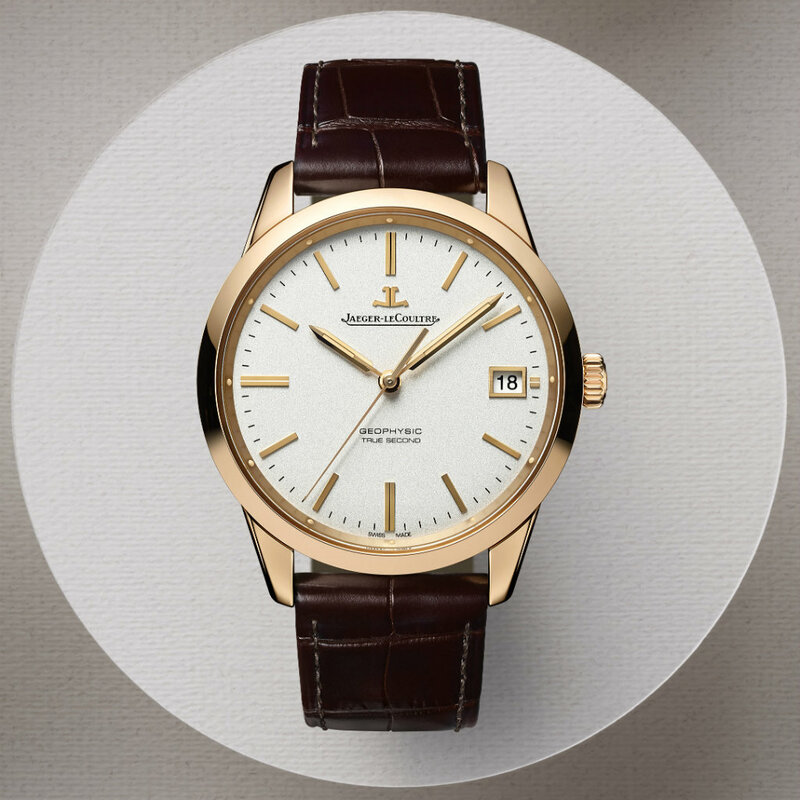 One of the most important contributors of Watches & Wonders 2015, Jaeger-LeCoultre, has unveiled some new spectacular models. New models consist of iconic Reverso series, cult Geophysic designs and high-horology complications. This year, 2 new models have been added into legendary series of Geophysics. 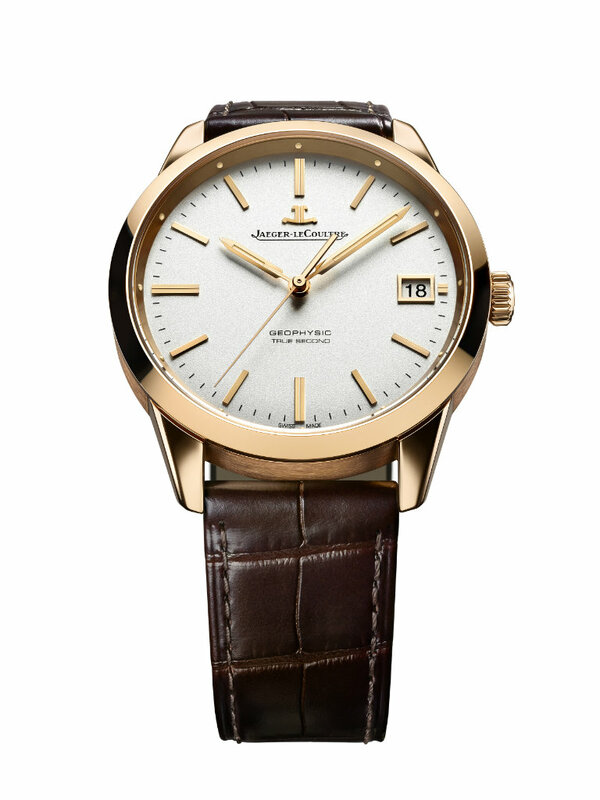 This collection consist of models which carry the core values of Jaeger-LeCoultre with minimum level of show off factor. All the experiences transferred and technical capabilities are forced to the limits in order to create more steady and accurate movements. The first model's name is "True Second". In general, mechanic watches second hand flows on the dial when it is moving, it doesn't tick like a quartz watch. For this model, engineers added a system to create the ticking effect on a mechanic movement. Besides that they use newly developed gyrolab escapement system on this watch's movement. Case has two material options; stainless steel or 18ct rose gold, dimensions are 39.6mm x 11.8mm. Glass is made of sapphire crystal and case is water resistant up to 50 meters. Movement is automatic caliber, consist of 275 individual parts, 28800vph and 40 hours power reserve. 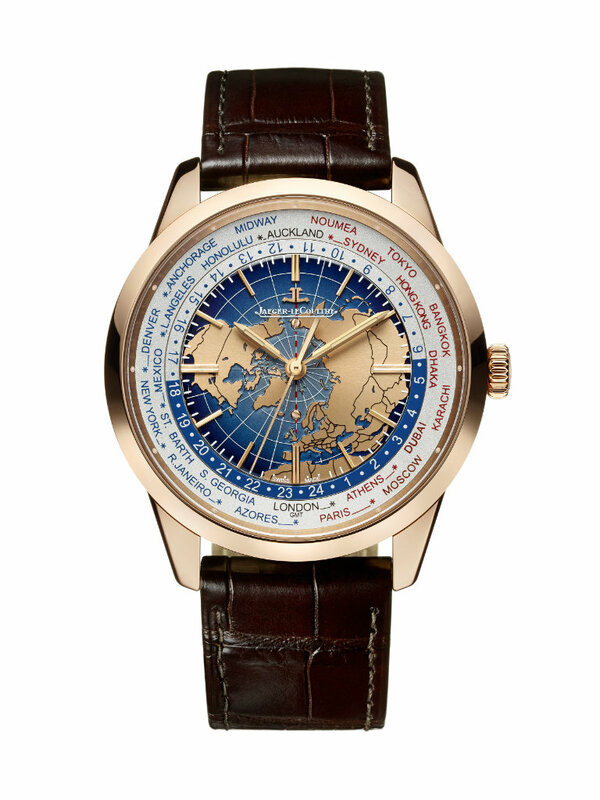 The other Geophysic model's name is "Universal Time". All case features are exactly the same with True Second model. Movement is caliber 772, which has the world time function, that is highly useful for who travel a lot between different time zones. 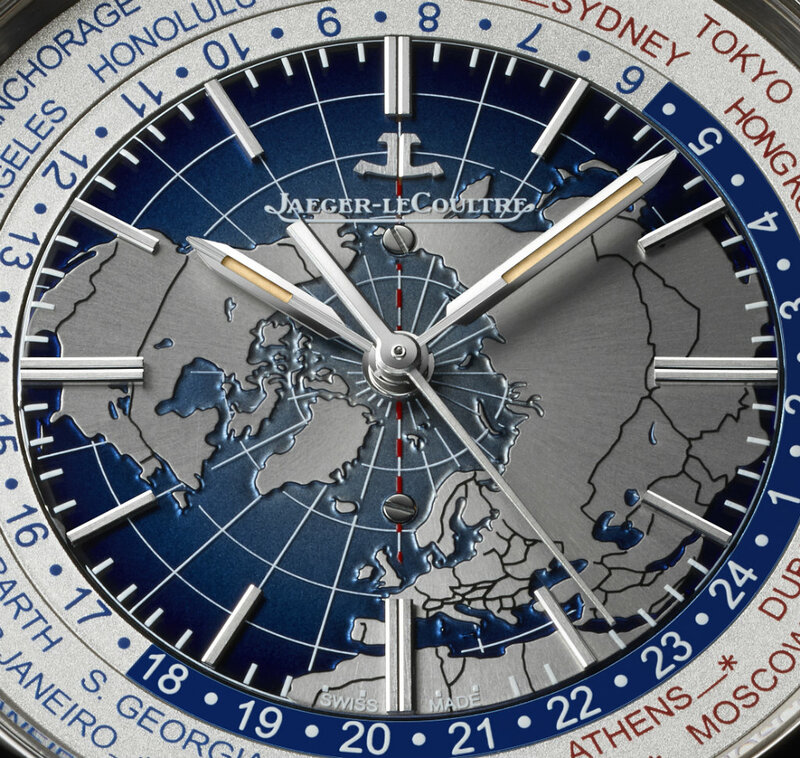 One of the most eye catching novelties of JLC booth is obviously the Duometre SpheroTourbillon. 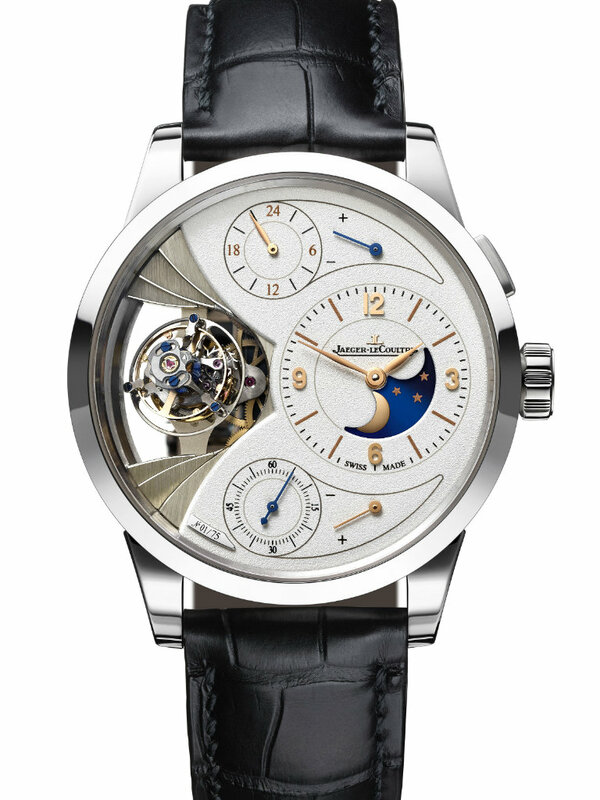 It's extraordinary movement needs regulation in every 3887 years for moonphase. Flying tourbillon cage has an angle of rotation of 20 degrees. Case is made of platinum, dimensions are 42mm x 14.3mm. Movement is manual-winding caliber 389, which has the flyback seconds hand reset mechanism in order to make the most accurate adjustment and two individual mainsprings have two power reserve indicators for each. 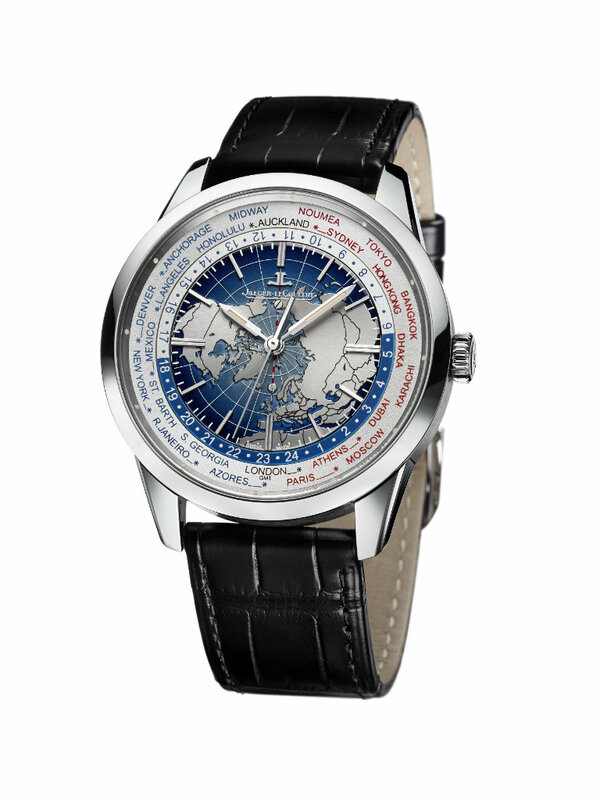 Jaeger-LeCoultre has a category of mechanic masterpieces: Hybris Mechanica. 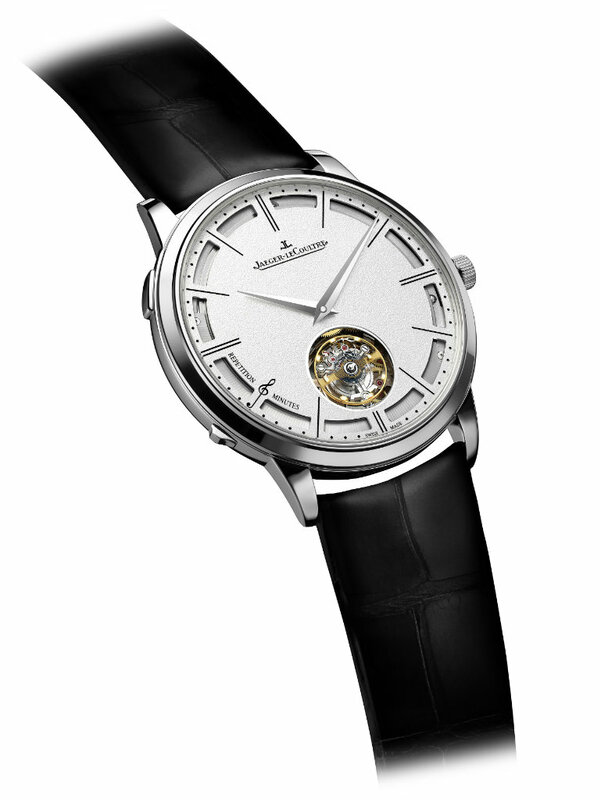 One of the stars of this category is Ultra Thin Minute Repeater Flying Tourbillon for this year. The main problem of very complex movements is the height due to large number of parts and complex engineering solutions. JLC, made a movement which is only 7.9mm height that consist tourbillon and minute repeater complications even with automatic winding system. Case is made of white gold and the dimesions are 41mm x 7.9mm. Front and back are sapphire crystals and water resistant up to 30 meters. 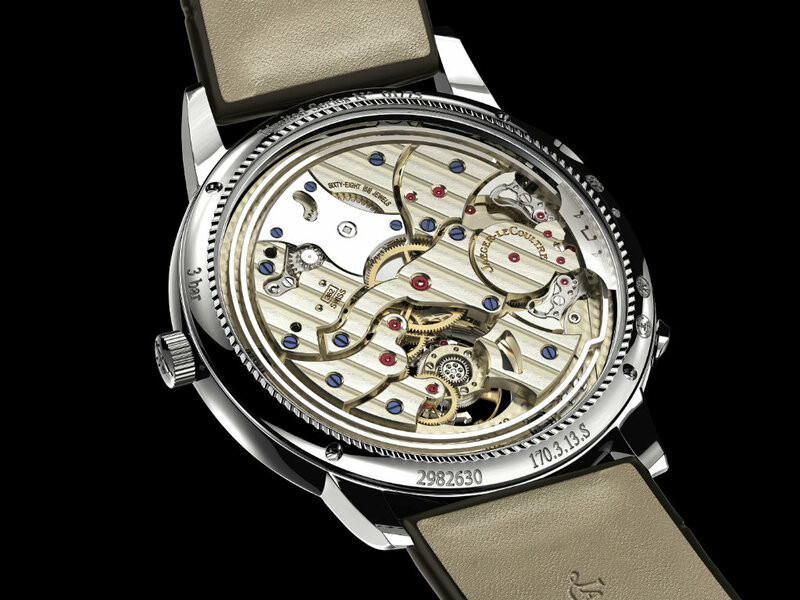 In-house automatic caliber 362, made of 471 individual parts, 21600vph, 72 jewels and 42 hours power reserve. In order to decrease the height of the movement, engineers decided to use peripheral rotor winding system. The model comes with black alligator strap and white gold pin buckle. Other Novelties - New case and dial options are added into the Master Ultra Thin series. Master Ultra Thin Tourbillon with white gold case - silver dial. Master Ultra Thin Moon with stainless steel case - black dial. Master Ultra Thin Date with stainless steel case - silver dial.